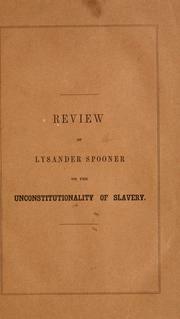 Review of Lysander Spooner's essay on the unconstitutionality of slavery: Reprinted from the "Anti-slavery standard," with additions. 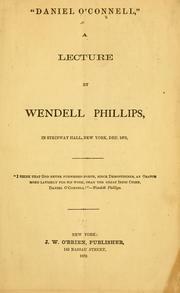 The lesson of the hour: lecture of Wendell Phillips, delivered at Brooklyn, N.Y., Tuesday evening, November 1, 1859. 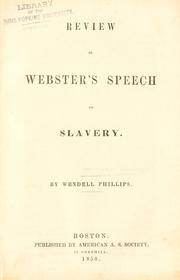 Speeches before the Massachusetts Anti-Slavery Society: January, 1852. 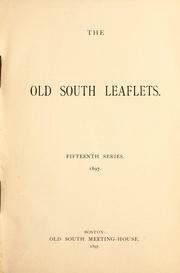 Shall women have the right to vote? 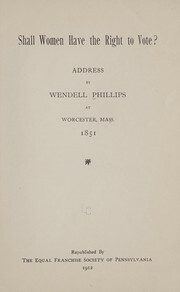 : address by Wendell Phillips at Worcester, Mass., 1851. 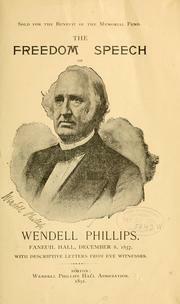 Wendell Phillips in Faneuil hall: Speech on Louisiana difficulties. 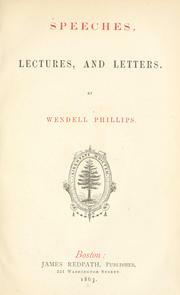 Argument of Wendell Phillips, esq. 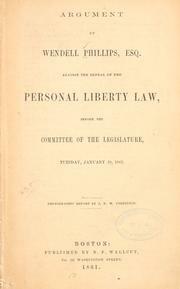 against the repeal of the personal liberty law: before the committee of the legislature, Tuesday, January 29, 1861. 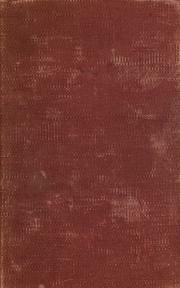 The laws of the Commonwealth--shall they be enforced? 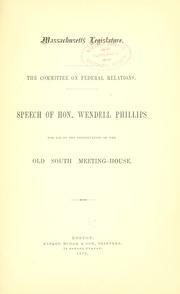 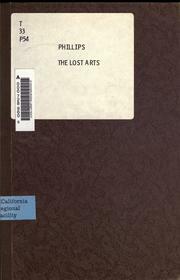 : speech of Wendell Phillips, Esq. 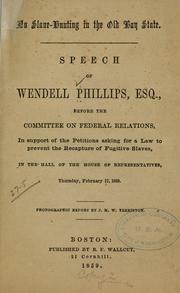 before the legislative committee, February 28, 1865. 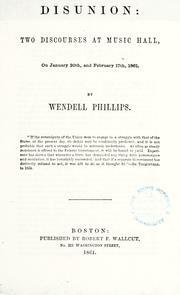 The freedom speech of Wendell Phillips: Faneuil hall, December 8, 1837, with descriptive letters from eye witnesses. 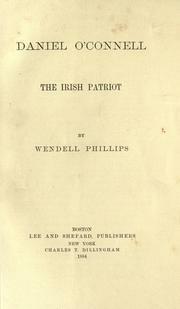 The people coming to power! 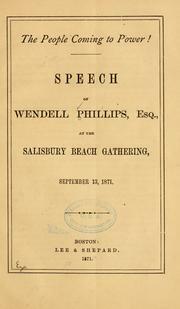 : Speech of Wendell Phillips, esq., at the Salisbury Beach gathering, September 13, 1871. 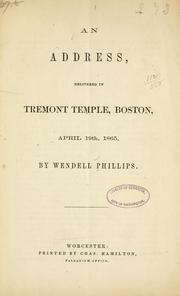 Massachusetts Legislature, the Committee on Federal Relations: speech of Hon. 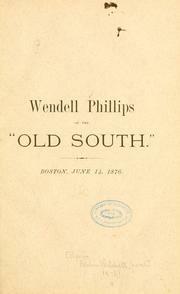 Wendell Phillips for aid in the preservation of the Old South Meeting-House. 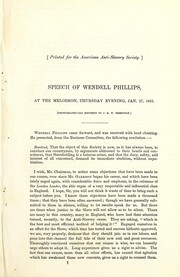 The immediate issue: a speech of Wendell Phillips at the annual meeting of the Massachusetts Anti-Slavery Society at Boston. 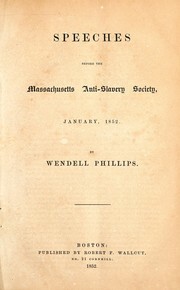 What the black man wants : speech of Frederick Douglass at the annual meeting of the Massachusetts Anti-Slavery Society at Boston. 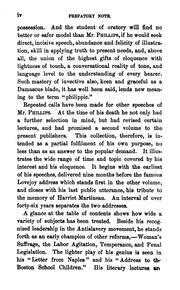 Suffrage for the Blacks sound political economy : shown in a letter to the "Boston Daily Advertiser" / by Elizur Wright. 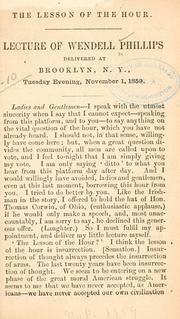 Reconstruction : a letter from William Heighton to George L. Stearns. 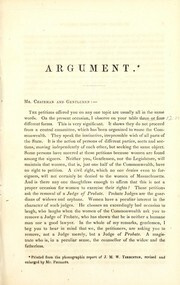 Argument of Wendell Phillips, esq: before the Committee on Federal Relations, (of the Massachusetts Legislature,) in support of the petitions for the removal of Edward Greely Loring from the office of judge of probate, February 20, 1855.
Who shall rule us? 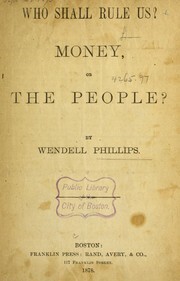 money, or the people? 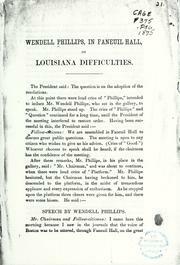 Shall women have the right to vote? 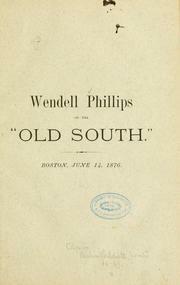 Are you sure you want to remove Phillips, Wendell from your list?